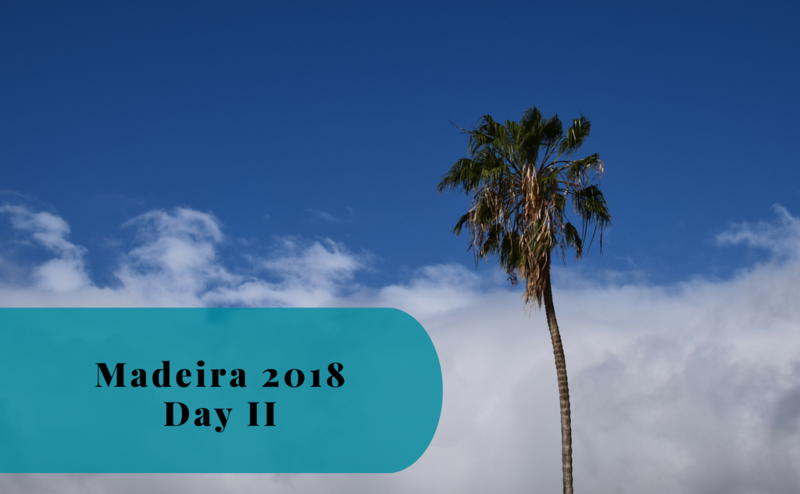 We really wanted to make the most of our last full day here on Madeira. In other words, there were way too many places we wanted to visit and well, just one day to see them all. Add to that the fact that we slept a bit longer than normal this morning. It was probably a good thing, as we had some extra energy and could at once rule out the possibility to see everything. What did we do? 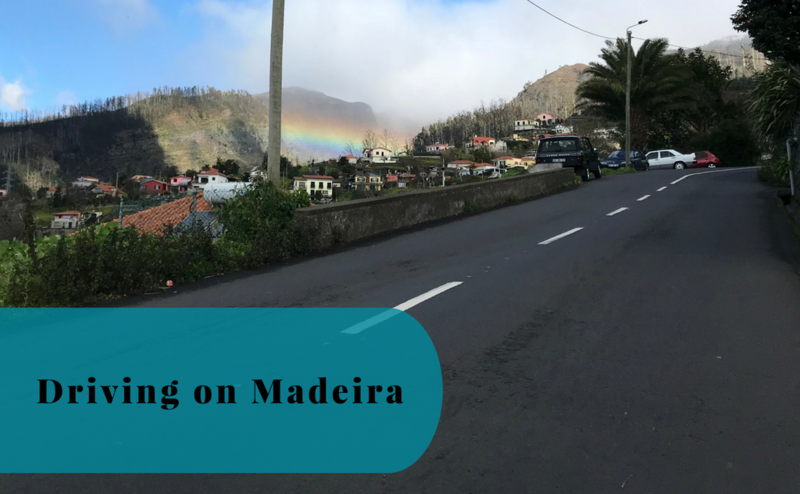 We headed towards Ponta do Sol to start our exploration of the southern coast of Madeira. Our first stop for the day was in a town called Ponta do Sol. For once we arrived at a place where the sun was shining. We were actually too well dressed and had to remove our jackets today. What a nice surprise after a week with mostly cold winds! The southern coast is, however, the part of Madiera that is known to have more sunshine. Ponta do Sol offered yet another great view out over the Atlantic Ocean, which seems to be the norm here in Madeira. We walked along the beach for a few minutes before sitting down at a cafe for a cup of coffee. The beach is not what you usually consider a beach, there is no sand. Just a lot of medium sized rocks, which made it look quite interesting for us who had no plan of swimming. After our coffee break, we continued with a walk uphill towards the historical center. Ponta do Sol is not a large town, there are just a few streets in the center. These streets are, however, quite cozy and picturesque. Not to mention quite steep. It takes some effort to push a stroller to the top, before returning down. The time was already getting long after lunchtime when we started to look for somewhere to eat. 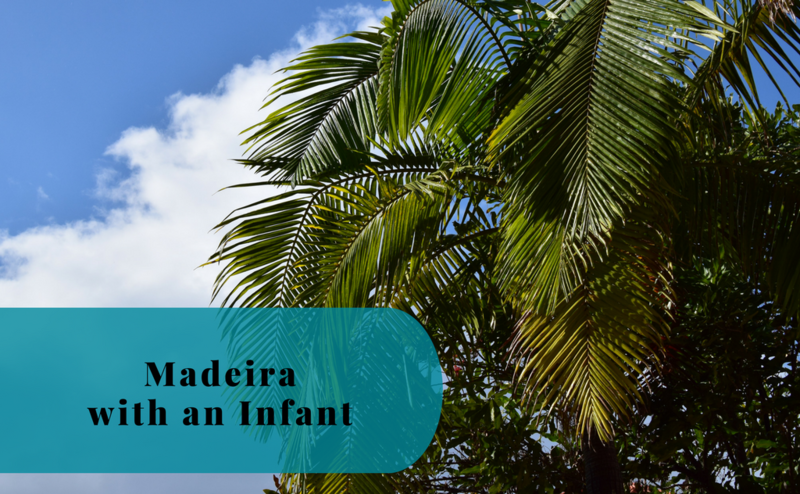 We had a quick look around us in Ponta do Sol before deciding that we couldn’t find anything of interest. Instead, I looked at Google Maps to try to find some recommendations and found one in the neighboring community. I thought that the restaurant I had found was located in Tabua, which, of course, it was not. It was actually a few kilometers away in Ribeira Brava. We had actually passed by Ribeira Brava a few days ago on our way towards the northern coast, so it was interesting to stop here as well. In Ribeira Brava, we found our restaurant and enjoyed a really nice meal overlooking the ocean. We had some typical Madeiran bread – bola de caco – for a starter before enjoying our main course. Right before lunch, Little A started to be a bit annoyed at just waiting. Or so I thought until she actually fell asleep instead. During her sleep, we could enjoy our meals and start to explore Ribeira Brava. The valley leading from Ribeira Brava towards the interior of the island actually is an impressive view, with the clouds gathering along the slopes of the mountains and the sun shining down between the cliffs. It is impossible to capture in a photo, but a really nice experience. 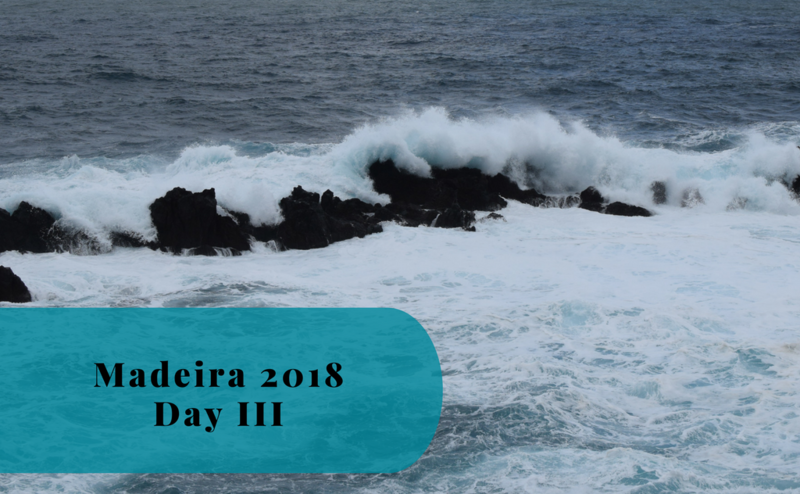 Something that was easier to take photos of was the coastline, which like most places on Madeira is spectacular. From Ribeira Brava, we continued back towards our base in Garajau. One more view of the ocean was just around the corner. Well, around several corners. On our way back we found a sign for a viewpoint. So, we decided to check it out and see where it led us. We ended up at Cabo Girão on top of a cliff overlooking the ocean. Here we got a great view of the sunset and the town of Câmara De Lobos, with Funchal in the background. Cabo Girão includes a platform where you stand on a glass floor hanging out over the cliff. In fact, it’s the highest cliff skywalk in Europe and one of the most popular tourist attractions in Madeira. You can see the ground several hundred meters below. Our last evening here in Garajau has also been really nice. Arriving back just after the sunset we packed our things to be ready to leave tomorrow morning. Then we headed back out to a restaurant to try some local delicacies. All I will say is that it was a really nice end to our stay here and we will miss it. We finally also got to try Poncha. It is a local drink that we have seen so many times during the week, but never have had the guts to try. This traditional drink consists of aguardente de cana, honey, sugar, and orange juice. It tasted quite refreshing! Tomorrow we are heading back home to Sweden. We are expecting it to be cold once we get there, hopefully, there will be no delays because of the current snow storm.